Due to the rise in rear-end collisions resulting in injury, B.C. 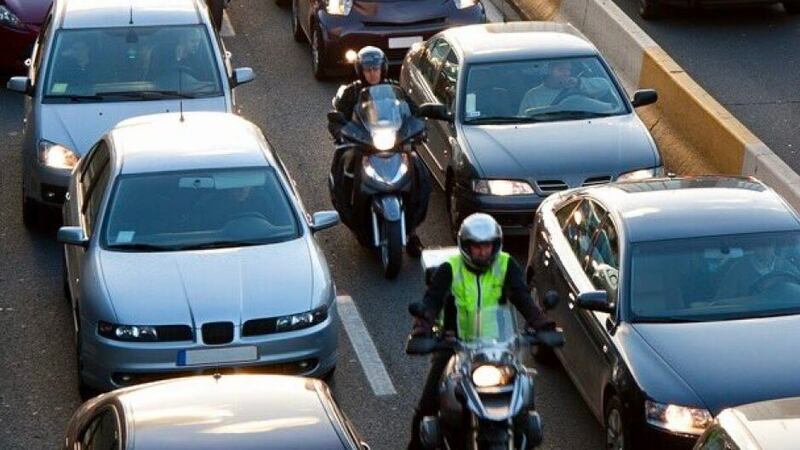 needs to institute the same lane-filtering laws implemented by Australian and European governments, allowing motorcyclists and scooter riders to occupy the space between lanes of slow-moving (25 km/h or less), or stopped traffic, at a speed only marginally faster than traffic is moving. We recently chatted with Jim Brown from the CBC's The 180 show, and discussed both the pros and cons of lane filtering, as well as addressed some of the typical concerns and misconceptions many motorists have about lane filtering in practice. Both the audio and an accompanying article are available on the CBC website here. We'd like to thank Jim and his team for taking time out of their day to chat with us, and hope you'll all do the same! Send your MLA an email! This riding season, more motorcyclists and scooter riders than ever before will find themselves captivated by their rear-view mirrors as they’re forced to merely hope the approaching vehicle is being driven by someone that is actually driving... not texting, calling, eating, or otherwise distracted. But that shouldn’t be the case. We need to convince our legislators that legalizing lane filtering isn’t a matter of convenience, but rather one of life or death... because we all know that it’s only a matter of time before 2017 claims the life of a rider in an accident that would have been easily avoided were they allowed to lane filter. And there’s no better time to flex our citizen’s muscles that during an election cycle.